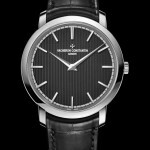 VACHERON CONSTANTIN PRESENTED 4 LIMITED EDITIONS. 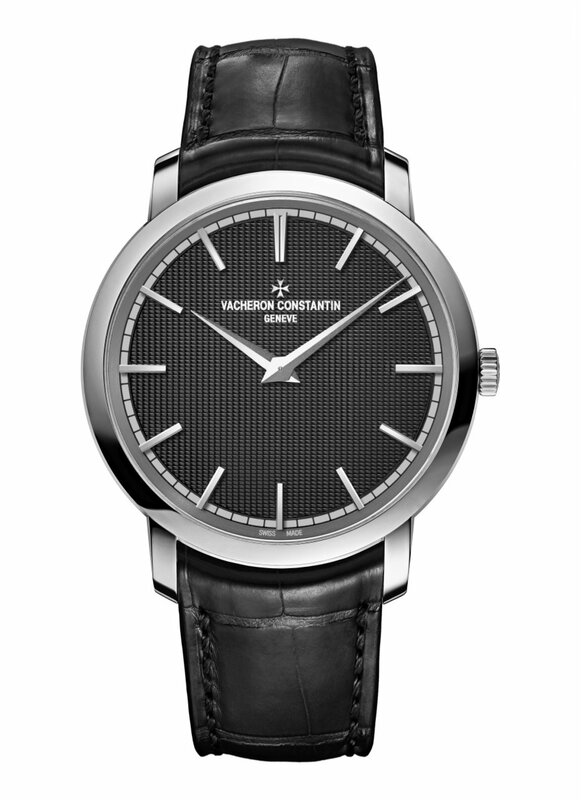 The Traditionnelle Calibre 2253 Moscow Boutique is a Vacheron Constantin masterpiece. Crafted in a limited edition of one, this watch celebrates the inauguration of the new Moscow Boutique that has now taken up residence in Berlin House. Equipped with a tourbillon, a perpetual calendar, an equation of time as well as sunrise and sunset times for the city of Moscow, it pays tributes to the noblest horological traditions. 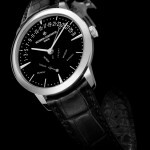 Rare, complex and exclusive are the adjectives that best describe the Traditionnelle Calibre 2253 Moscow Boutique watch. Issued in a one-only limited edition for the inauguration of the new Moscow Boutique, it pays tribute to a longstanding expertise, acquired over a period of almost 260 years by a Manufacture that set out to conquer Russia at a very early stage in its history. 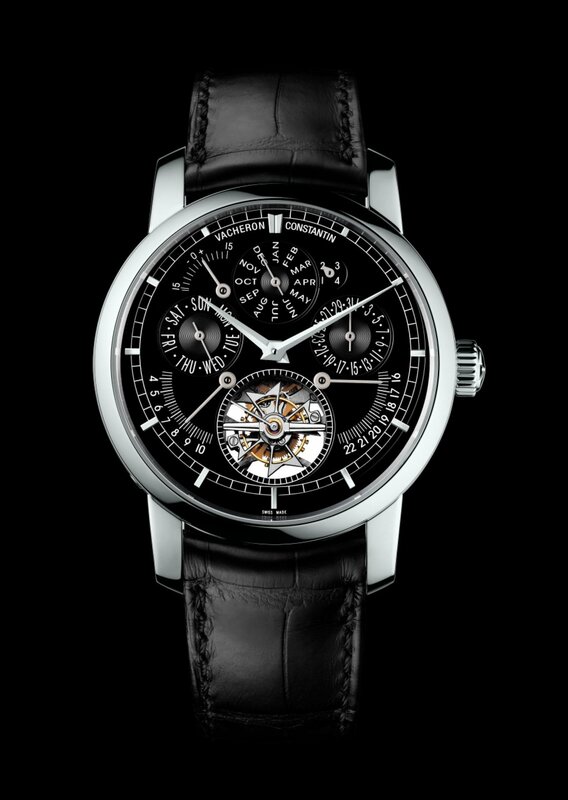 Fashioned in 950 platinum, this model is a compendium of major horological complications. 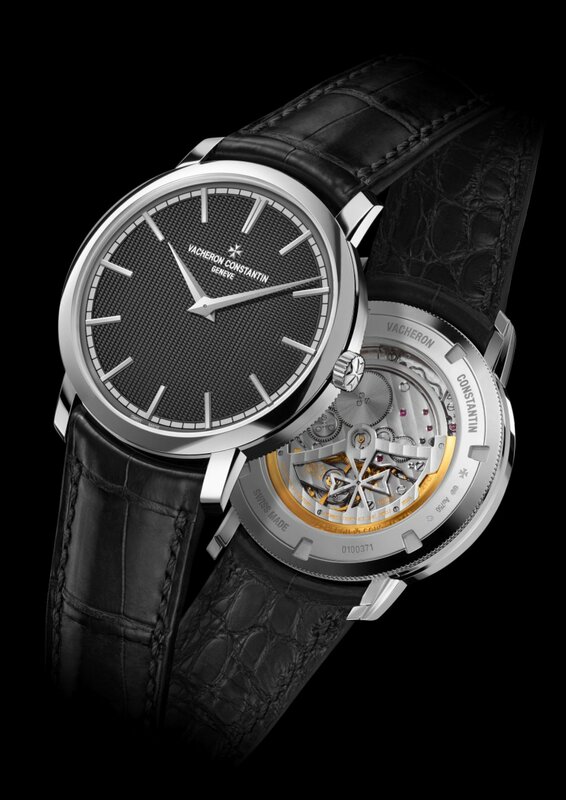 Its 457-part calibre developed and crafted by Vacheron Constantin features a tourbillon along with several astronomical-type compications such as the perpetual calendar, the equation of time and the sunrise and sunset times for the city of Moscow. 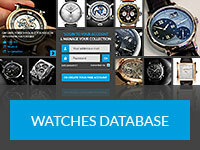 This watch is also endowed with an exceptional 14-day power reserve. 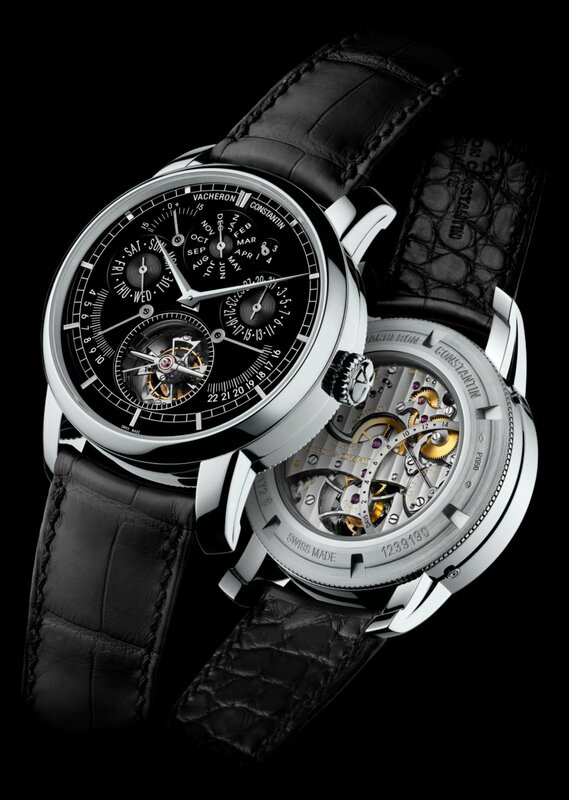 Its technical configuration is based on two pairs of two coupled barrels; while the power reserve is visible on the bridge side and clearly visible through the sapphire crystal case-back. 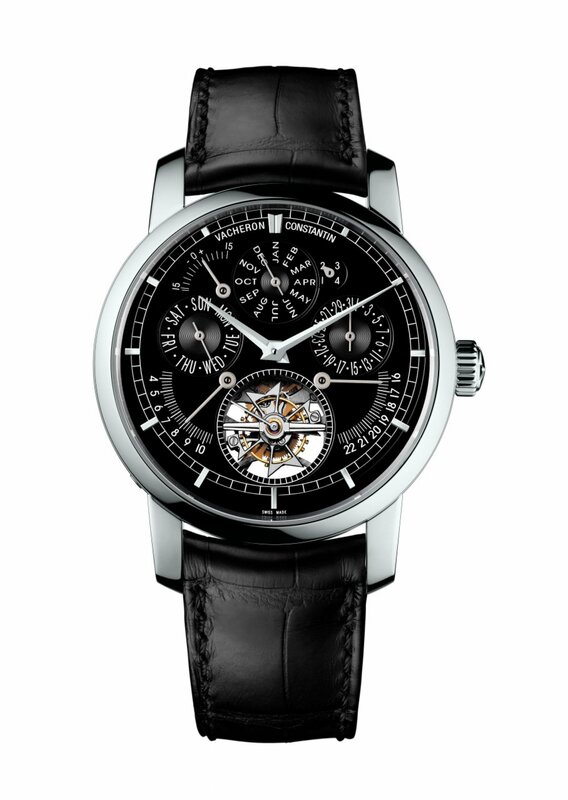 The equation of time is probably the most fascinating complication in this outstanding model. Its purpose is to indicate the difference in minutes between the variable solar time shown by a sundial and the constant mean time of clocks and watches. For practical reasons, mankind has divided each year into 365 and a quarter days, each day into 24 hours, and the hours into 60 minutes each. However, solar noon, the exact time when the sun reaches its zenith, does not generally correspond to the legal standard time shown by watches. In actual fact, solar time and mean time coincide just four times a year – on April 15th, June 14th, September 1st and December 24th. For the rest of the year, the difference between solar and mean time varies from minus 16 minutes to plus 16 minutes. The oldest clock showing the equation of time was made by the mathematician Nikolaus Mercator in the 17th century. 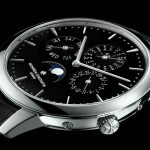 It enabled people in those days to convert the sun’s varying noon to the standard constant time shown on their watches. Since then, the rare instruments calculating the equation of time have been the work of extremely accomplished horologists. Making this complication work does indeed call for particular skill. It depends on the equation cam, a waisted oval or analemma, shaped like a figure 8 and calculated according to the daily declination of the sun observed from a given spot in the course of a calendar year. The cam rotates once a year and the extreme precision of its shape governs the accuracy of the equation of time. This fascinating complication is displayed by a short hand appearing between 10 and 11 o’clock on the dial of the Traditionnelle Calibre 2253 Moscow Boutique timepiece. This exceptional creation also features another astronomical complication seldom found in watches – the times of sunrise and sunset throughout the year at a given locality. This extremely intricate complication serves to provide an accurate daily indication of these times for the city of Moscow. Here too, the mechanism relies on a cam, the outline of which is calculated according to the latitude and longitude of Moscow Its symmetrical display shows the sunrise times at 8 o’clock and sunset times at 4 o’clock. The tourbillon carriage, as always in the shape of the brand emblem, a Maltese cross, rotates once a minute at 6 o’clock as a small seconds indication. The indications of the perpetual calendar are symmetrically laid out with the days, the months and the dates at 9, 12 and 3 o’clock respectively, while the leap-year indicator makes a circumspect appearance at 1 o’clock. Within the Vacheron Constantin universe, this Traditionnelle Calibre 2253 Moscow Boutique expresses the very genetic identity of the Manufacture, of its heritage and of the skills patiently acquired since its founding. Radiating an aura of understated elegance through a 44 mm round case imbued with timeless classicism, this model embodies the noblest horological traditions and establishes itself as a reference in its field. In addition to rigorously pure aesthetic, this one-of-a-kind model displays traditional style codes expressed in contemporary language: a slimmer case, a knurled motif surrounding the screw-down case-back fitted with a sapphire crystal, dauphine hands and an opaline black dial. 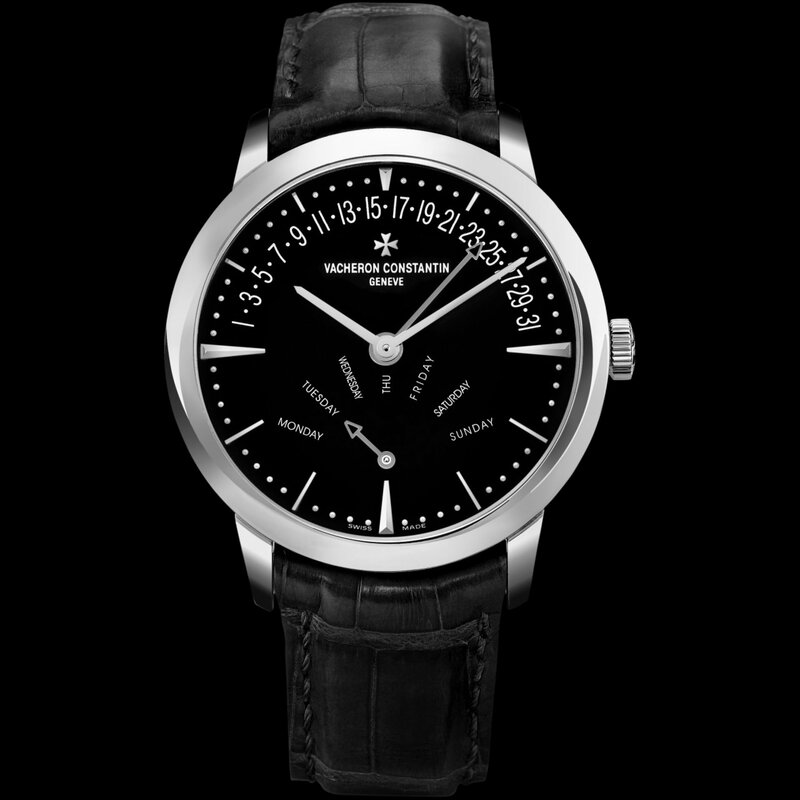 An engraving on the case-back soberly indicates the exceptional – and indeed unique – nature of the Traditionnelle Calibre 2253 Moscow Boutique “N°1/1”. The Traditionnelle Calibre 2253 Moscow Boutique model also bears the prestigious Hallmark of Geneva, which is an independent and sovereign guarantee of workmanship, origin, quality, precision, resilience and competence. This seal of watchmaking perfection, among the oldest of professional labels, is reserved for a handful of Geneva manufacturers. In an ultimate touch of elegance and refinement, the Traditionnelle Calibre 2253 Moscow Boutique model comes with a pair of 18-carat white gold and onyx cufflinks matching the Vacheron Constantin timepiece. 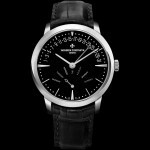 To celebrate the opening of its new Moscow Boutique that has now taken up residence in Berlin House, Vacheron Constantin presents a Patrimony equipped with a sophisticated complication: the perpetual calendar. Housing the legendary Calibre 1120 QP, an ultra-thin mechanical self-winding movement, the Patrimony perpetual calendar reveals the inherent elegance and finesse of Vacheron Constantin. 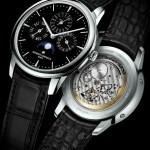 This timepiece issued in a 30-piece limited edition. 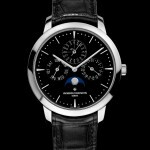 Issued in a 30-piece limited edition, the Patrimony Perpetual Calendar Moscow Boutique Edition meets the demanding requirements of the Hallmark of Geneva – the highest benchmark in the field of Haute Horlogerie testifying to the quality, craftsmanship and reliability of an exceptional timepiece produced on Genevan territory. It pays tribute to longstanding watchmaking tradition expertise, acquired over a period of almost 260 years by a Manufacture that set out to conquer Russia at a very early stage in its history. The Patrimony Perpetual Calendar Moscow Boutique model is equipped with the legendary Calibre 1120 QP, acknowledged by connoisseurs as one of the most iconic perpetual calendar movements. This timepiece will be able to keep track of all the vagaries of the calendar and require no correction whatsoever until March 1st 2100. Unlike simple calendar mechanisms that require manual correction after each month with less than 31 days, the perpetual calendar takes account of the leap-year cycle with its months of 31, 30 or 28 days, and the quadrennial return of February 29th. Since the movement must be mechanically adjusted to take account of calendar irregularities, this sophisticated function calls for considerable prowess in terms of miniaturisation. An indispensable prerequisite for integrating the calendar functions, this miniaturisation was pushed to the limit in order to create an ultra-thin perpetual calendar movement measuring a mere 4.05 mm thick. This mechanical hand-wound movement is equipped with an oscillating weight featuring the particularly meticulous finishing that is the signature of Haute Horlogerie. 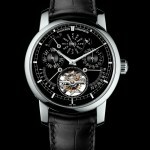 Beating at a frequency of 2.75 Hz (19,800 vibrations per hour), it has an approximately 40-hour power reserve. Calibre 1120 QP drives indications of the hours, minutes and a perpetual calendar displaying the day of the week, the date, the month, the leap year on a 48-month subdial, as well as the moon phase. Such a miniaturised mechanical marvel deserved a truly worthy stage-setting. 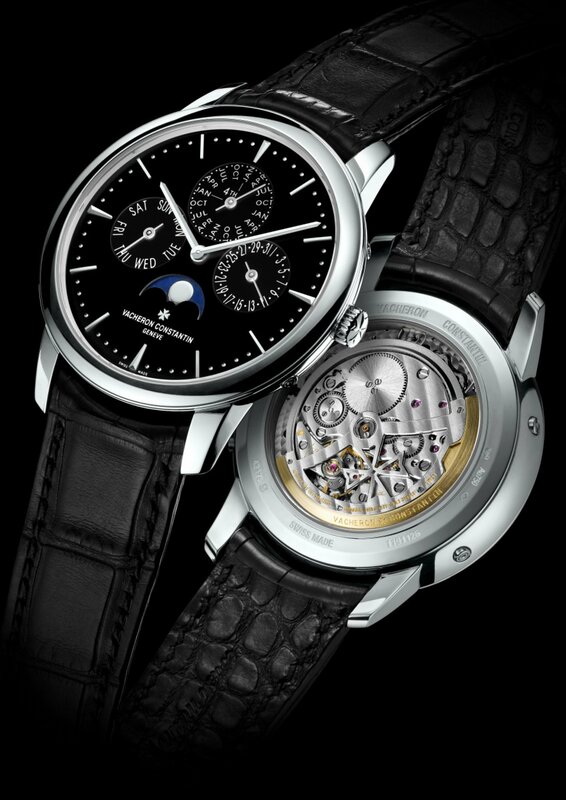 Characterised by taut curves, a sleek profile, slender trapeze-shaped hour-markers, baton hands, a cambered dial and a minute track beaded with gold cabochons, the new Patrimony Perpetual Calendar Moscow Boutique model by Vacheron Constantin features all the distinctive characteristics of the Patrimony collection. 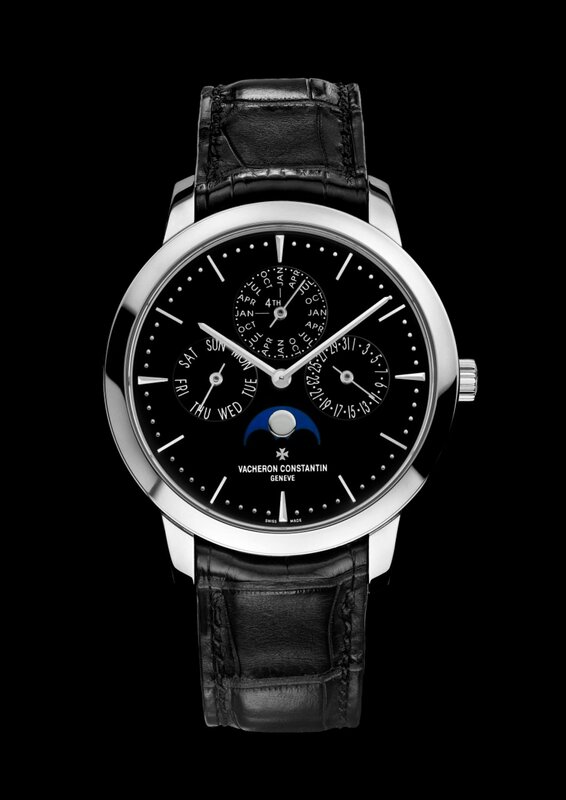 Beneath its opaline black dial, the lunar disc portrays a golden moon set against a lapis lazuli sky. The 41 mm-diameter 18K white gold case is water-resistant to 30 metres and fitted with a sapphire crystal back revealing Calibre 1120 QP. This timepiece is equipped with an alligator leather strap secured by an 18K white gold folding clasp. 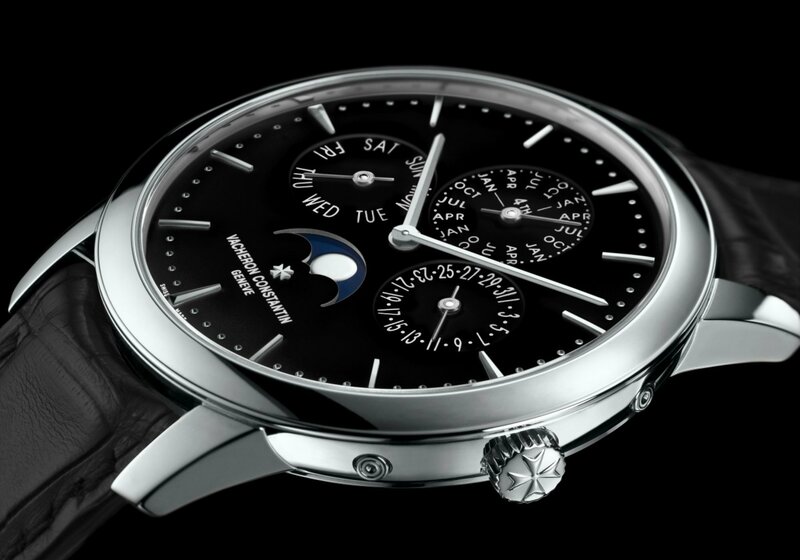 In an ultimate touch of elegance and refinement, the Patrimony Perpetual Calendar Moscow Boutique model comes with a pair of 18-carat white gold and onyx cufflinks matching the Vacheron Constantin timepiece. 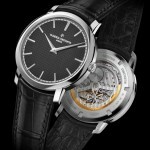 To celebrate the opening of its new Moscow Boutique that has now taken up residence in Berlin House, Vacheron Constantin presents a marvel of elegance and character, a concentrated blend of the expertise cultivated by the Geneva-based Manufacture: the Patrimony retrograde day and date Moscow Boutique issued in a 20-piece limited edition. The inner complexity of a mechanical movement is all the more appreciable when it is expressed with finesse and subtlety on the dial. The Patrimony retrograde day and date Moscow Boutique watch is entirely in line with this approach and pays tribute to longstanding expertise acquired over almost 260 years by a Manufacture that set out to conquer Russia at a very early stage in its history. 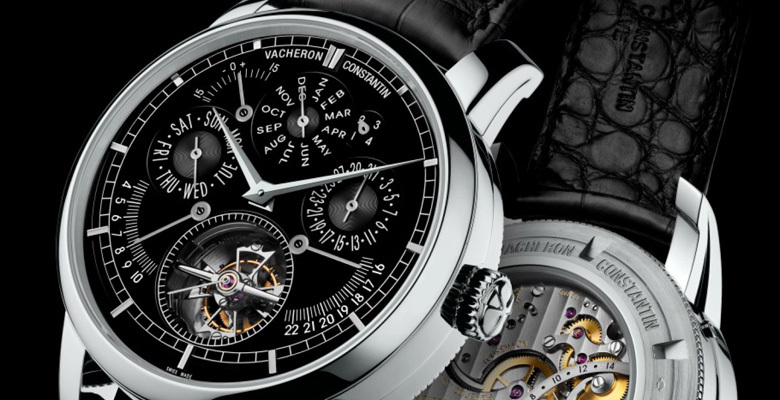 This timepiece, issued in a 20-piece limited edition, meets the demanding requirements of the Hallmark of Geneva – the highest benchmark in the field of Haute Horlogerie testifying to the quality, craftsmanship and reliability of an exceptional timepiece produced within the territory of the Canton of Geneva. 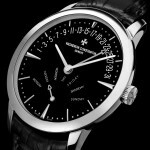 Equipped with a double complication revealed by two retrograde indications, the Patrimony retrograde day and date Moscow Boutique watch will thrill connoisseurs – since only a solid watch culture can ensure a full appreciation of these highly original displays typical of Vacheron Constantin and which conceal their true complexity in order to enhance their allure. The instant return of the hands from one point to another in less then one tenth of a second, across an almost 180° semi-circular sector, brings considerable forces into play for a mechanism of this size. An enormous amount of energy is suddenly released to enable the hand to move in a fraction of a second from side of the display to the other with such impressive precision. 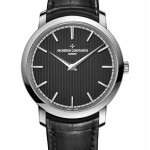 Strength, instantaneity and precision: these are the three key elements perfectly ‘tamed’ by the Vacheron Constantin so as to ensure that the complexity of the two retrograde displays remains hidden beneath a seemingly simple outward appearance. At the heart of this timepiece forcefully proclaiming its pure, understated aesthetic, 283-part Calibre 2460R31R7 – a mechanical self-winding movement designed, developed and crafted by Vacheron Constantin – drives the hours and minutes as well as date and day of the week functions. Beating at the rhythm of 28,800 vibrations per hour, Calibre 2460R31R7 features an over 40-hour power reserve. It is distinguished by the meticulous bevelling of the bridges adorned with Côtes de Genève and by the circular graining on the baseplate. Its 22-carat gold oscillating weight, with a décor inspired by the Maltese cross, runs by means of an innovative ceramic ball bearing system. The elegantly slender 18-carat white gold case – water-resistant to 30 metres – has a generous 42.5 mm diameter and is fitted with a sapphire crystal back enabling one to admire the movement decoration and finishing. 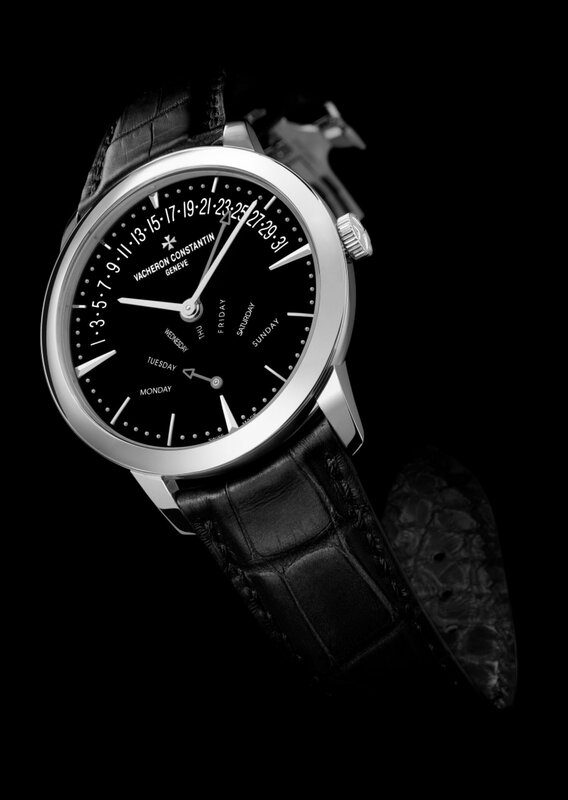 Its broad opening guarantees excellent readability of the functions displayed on the opaline black dial. The latter is based on a complex outward-curving construction and expresses the meticulous attention lavished on every detail to achieve a harmonious overall effect. It also reprises all the other design codes characteristic of the Patrimony line, meaning baton hands, four triangular hour-markers and 8 baton hour-markers curved to follow the contour of the 18-carat gold dial, as well as a beaded minute track composed of applied gold cabochons. In an ultimate touch of elegance and refinement, the Patrimony retrograde day and date Moscow Boutique model comes with a pair of 18-carat white gold and onyx cufflinks matching the Vacheron Constantin timepiece. The Traditionnelle Moscow Boutique Edition is heir to a longstanding watchmaking tradition and pays tribute to longstanding expertise, acquired over a period of almost 260 years by a Manufacture that set out to conquer Russia at a very early stage in its history. Its pure lines and harmonious proportions display its classic and timeless character, enhanced by a slender bezel, a knurled motif surrounding the screw-down case-back fitted with a sapphire crystal, 18K white gold applied hour-markers and dauphine hands. 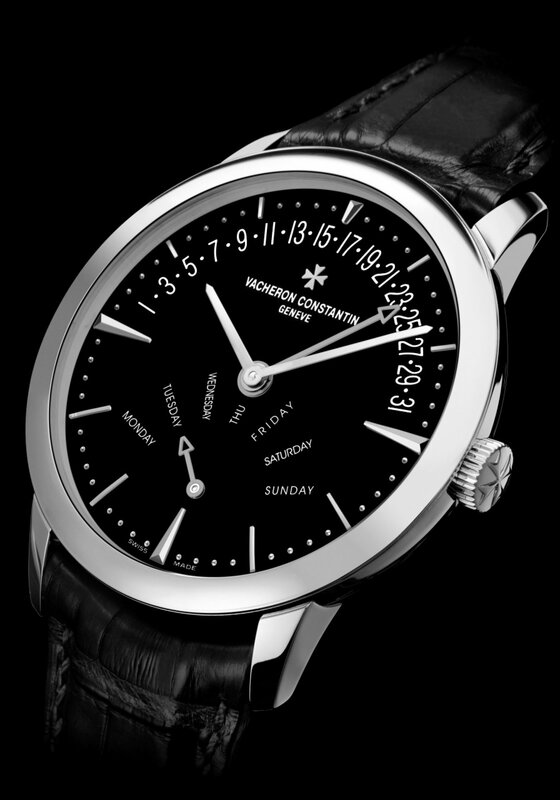 Its slate-grey dial is finely hand-guilloché – one of the many artistic crafts cultivated by the Manufacture – and reflects a unique motif inspired by the façade of Moscow’s stellar landmark, the Kremlin. 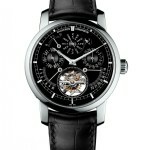 At the heart of its case ticks the ultra-thin self-winding 1120 movement. 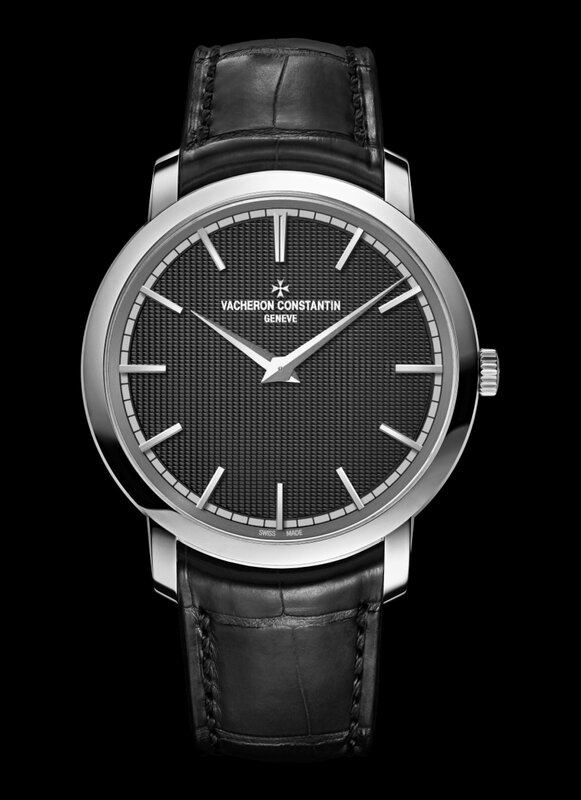 Developed and produced in-house by Vacheron Constantin, it beats at a frequency of 2.75 Hz (19,800 vibrations/hour) and has an approximately 40-hour power reserve. Its finishing and construction are a testament to its finely crafted nature. Not only are the main flat surfaces of the movement adorned with a meticulous “Côtes de Genève” motif, but all their sharp angles are bevelled and hand-polished – as too are the screw heads. 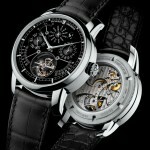 Setting the perfect finishing touch to this model, Vacheron Constantin has equipped its new Traditionnelle Moscow Boutique Edition with a slate-grey Mississippiensis alligator strap secured by an 18K white gold pin buckle, In an ultimate touch of elegance and refinement, the Traditionnelle Moscow Boutique Boutique model comes with a pair of 18-carat white gold cufflinks naturally hand-guilloché to match the Vacheron Constantin timepiece.